AIPAC-promoted/anti-BDS measures were attached as amendments to House and Senate fast track legislation introduced earlier in April. Its purpose is to ram through Congress Trans-Pacific Partnership (TPP) and Transatlantic Trade and Investment Partnership (TTIP) bills global justice advocates call NAFTA on steroids – stealth corporate coup d’etats. AIPAC prioritizes enacting anti-BDS legislation. Its provisions would apply to all trade agreements. The measure, if enacted, contravenes official US policy with regard to Occupied Palestinian Territories. It aims to criminalize efforts to boycott Israeli products and services. Nothing under international law prevents nations, businesses, groups or individuals from doing so. The legislation effectively considers all parts of occupied Judea and Samaria Israel covets part of its territory – including privately owned Palestinian land it steals for exclusive Jewish development. It violates core First Amendment rights. 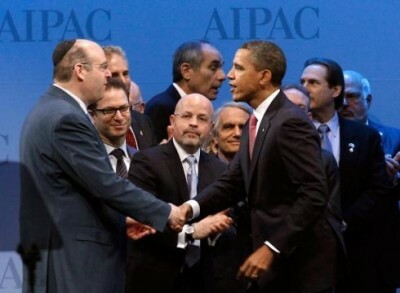 It makes Washington more complicit than already with Israeli high crimes against peace. The Senate Finance Committee passed the amendment unanimously. House Ways and Means Committee passage followed a day later. The amendment specifically targets European nations and companies – to pressure them in trade negotiations against supporting BDS initiatives. It’s the only region where BDS efforts gained traction. Boycotting Israel is more important now than ever. It’s the single most effective way to hold it accountable for collectively punishing Palestinians lawlessly. Congressional legislation won’t derail BDS activism. It’s a vital global initiative whose time has come. Grassroots movements must lead the way. Global justice advocates urge international civil society organizations and supporters everywhere to impose broad boycotts – to implement divestment initiatives against Israel similar to those applied to apartheid South Africa. Pressure is needed for embargoes and sanctions – for equity, justice and peace. It’s long past time for Israel to be held accountable for high crimes too grave to ignore. Anti-BDS congressional legislation won’t stop its eventual day of reckoning from arriving.